Will South Korea Partner With City? Daegu, South Korea wants to be a water tech sister city. City panel says yes. 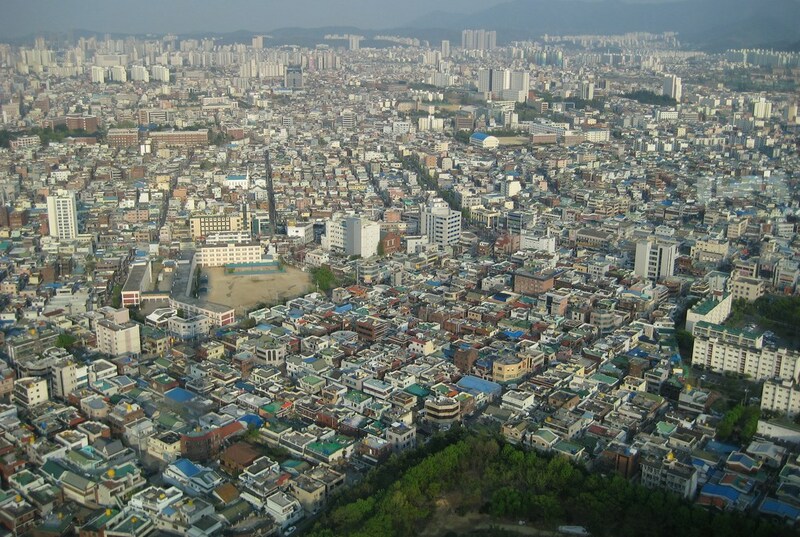 View from Woobang Tower in Daegu, South Korea. Photo by ~Mers / Creative Commons. What do the cities of Daegu, South Korea and Milwaukee, USA have in common? The future of water technology, it turns out. In August 2016, leaders from Daegu contacted the Milwaukee Water Council, hoping to establish a Sister City relationship with the city of Milwaukee, and Wednesday that relationship took another step toward realization. The relationship would give companies in Milwaukee and Daegu better access to the others markets for technology and innovation sharing. Daegu, the hometown of embattled South Korean Prime Minister Park Geun-Hye, recently received $400 million from their government to develop a water technology center. “Given that Milwaukee is the world’s water centric city,” said Preston Cole, commissioner of the Department of Neighborhood Services and board member at The Water Council, “Who would not want to attach their caboose to a leader in the industry?” Some might call that boosterism (other cities might claim they are more water centric), but it’s clear Daegu sees an advantage in partnering with Beer City. Pending full Common Council approval, a resolution adopted by the Community and Economic Development committee Wednesday would declare that Daegu, home to over 2 million, shall join Milwaukee’s six other sister cities which include cities in Kenya, Tanzania, Croatia, South Africa, Indonesia and Ireland. As the sponsor of this resolution, the Water Council wants the sister city relationship with Daegu to contribute to its growing connections in the water technology industry around the world. This network, based in Milwaukee, has the potential to attract companies and attention to Milwaukee, said Amy Jensen, director of finance and operations at The Water Council. Jensen pointed to the recent relocation of Zurn Industries LLC, a water infrastructure and technology manufacturer, to the Reed Street Yards in Walker’s Point as an example of Milwaukee’s water centric reputation bearing fruit. Ald. Tony Zielinski grilled Cole and Jensen at the meeting, trying to discern what the benefit for the City of Milwaukee would be from the relationship, as the two were mainly proffering hypotheticals about getting Milwaukee getting better access to technology dealing with lead abatement of tap water or other concerns. “I want to be sure that if we give them a cow we’re not getting a chicken in return,” Zielinski said. Ultimately, what Zielinski and other members of the committee were told is the relationship will help companies located in Milwaukee gain better access to other water technology markets, and ideally attract other firms to the area. Should the resolution next win approval from the full council, Daegu will become Milwaukee’s seventh sister city. I believe “Sister City” is a sexist term. I prefer “Sibling City.” I also feel Manpower Group should change its name to Peoplepower. An interesting development. I’ve been to Daegu a number of times, as my girlfriend is from there. In my mind, it’s roughly on equal footing with Milwaukee, in that it’s a mid-tier city. Not the biggest or most active place in SK, but not small either. Anyway, I’m all for anything that helps get Milwaukee more internationally connected.